Step 1. 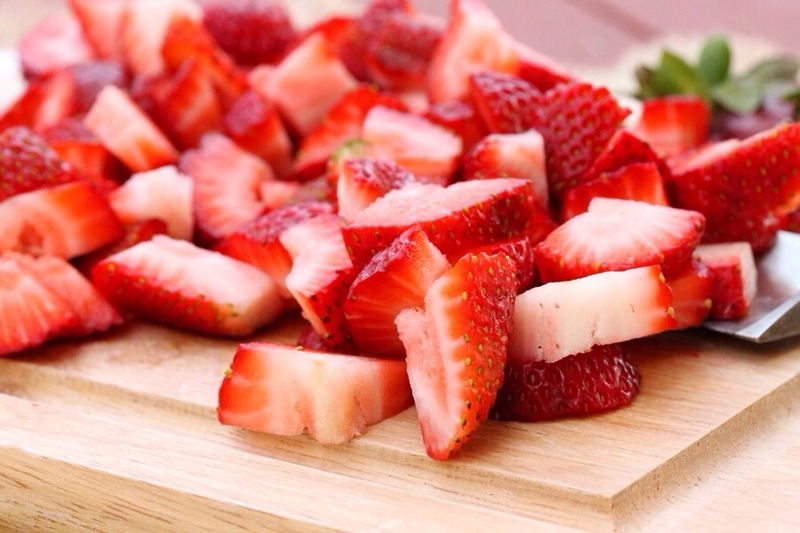 Wash a package of strawberries and cut them into 1/2 inch slices. Step 2. 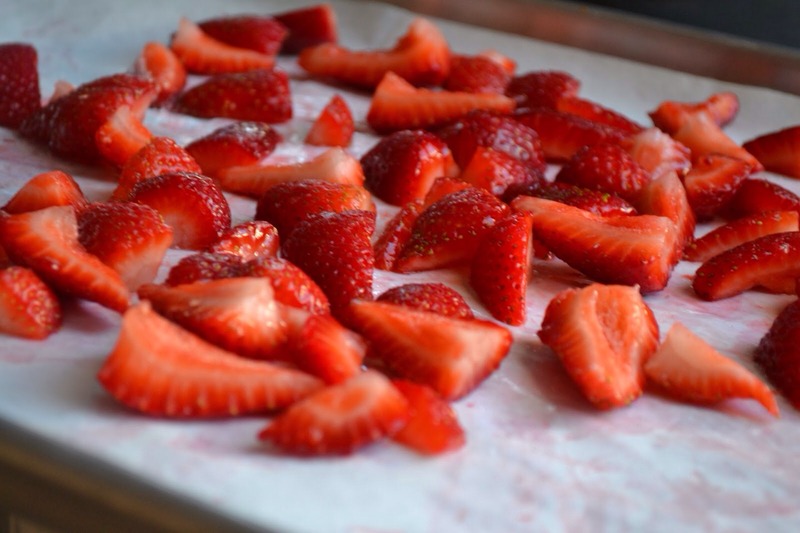 Place cut strawberries onto a baking sheet line with parchment paper. Step 3. 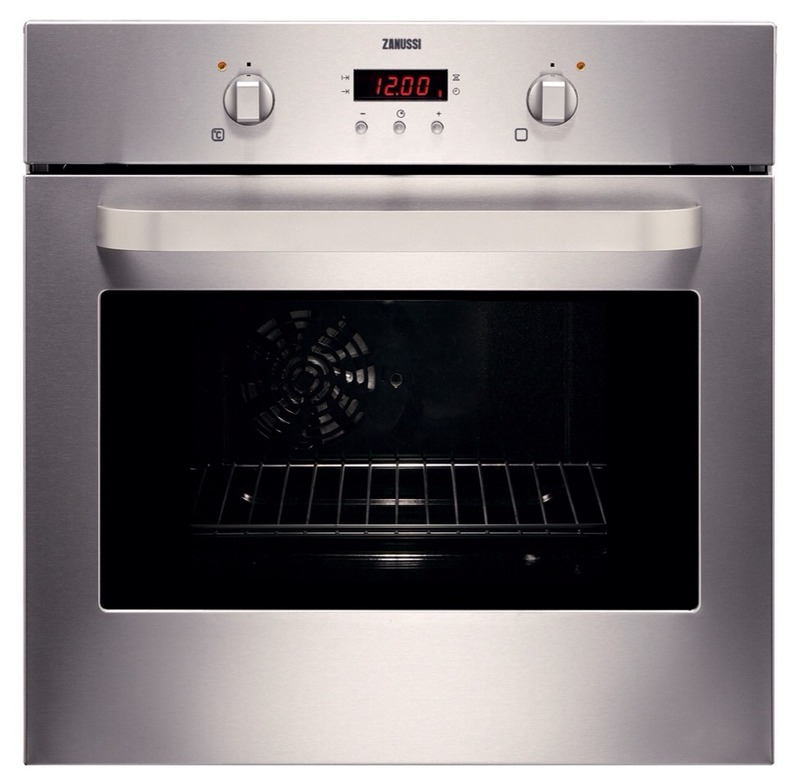 Place baking sheet with strawberries into a preheated oven at 350F, let cook for 12 hours. Step 4. 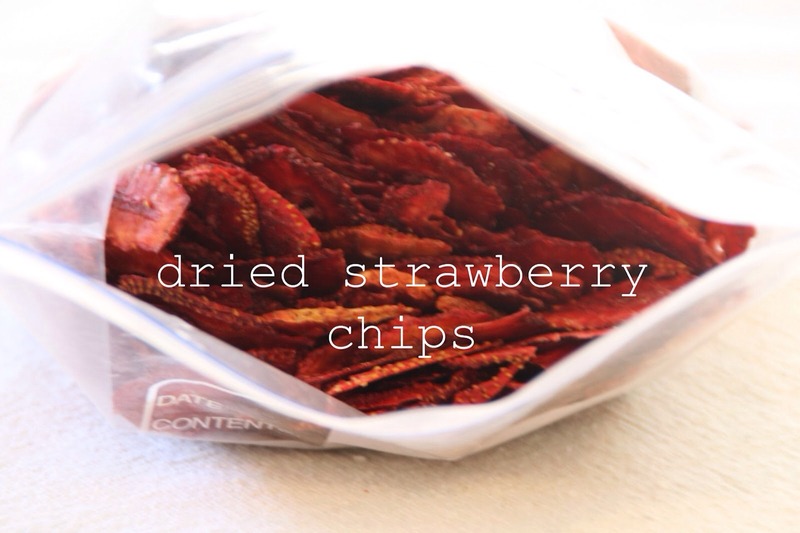 After 12 hours, remove dried strawberries from the oven, peel off parchment paper, and enjoy! !